Today we are cast adrift with Catherine's Raft at Sea. Catherine has recently graduated from Hereford College of Art and we are very pleased to welcome her back for her second Collect Connect exhibition. 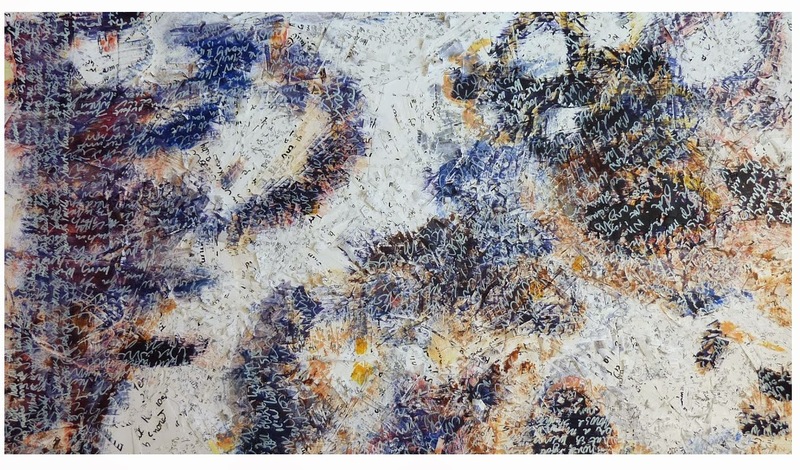 This image, taken from Catherine's web site, suggests something on the verge of being recognised, either a representation on the way to becoming seen or a form that is disintegrating or dissolving. I find this visual tension appealing. Raft at sea is likewise a very appealing piece of work. I particularly like the simplicity of the net. The detail here shows the net for the logs for the raft. 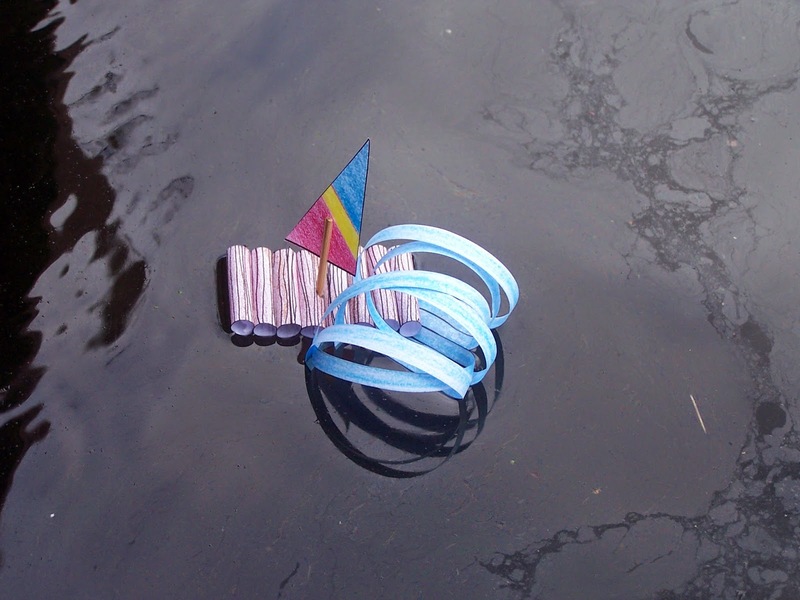 It is hard to imagine from the flat net how the neat little raft comes about until one has a go at building it. Here we can sea Raft at Sea on the Regents Canal at Kings Cross. This area of London has undergone massive redevelopment recently including the canal area and both Kings Cross and St Pancras International railway stations. 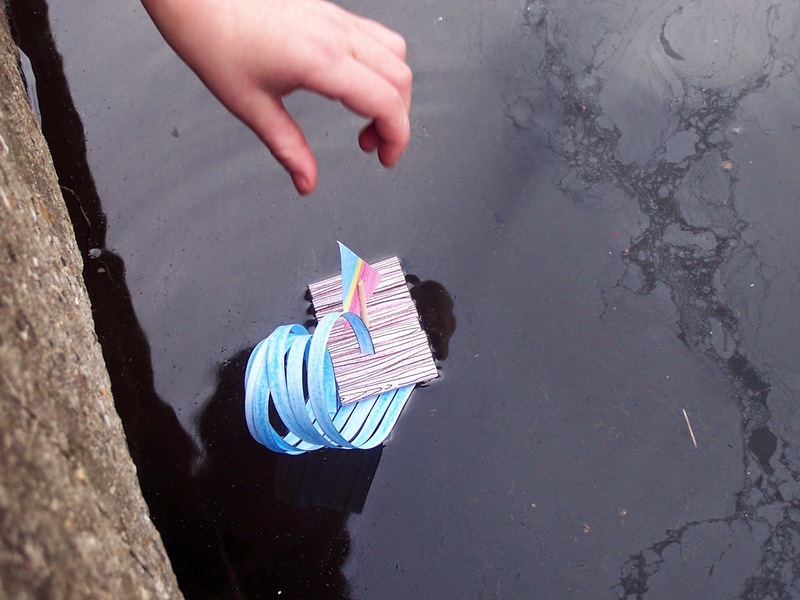 The raft proved to be surprisingly buoyant and floated quite happily in the somewhat murky canal water before eventually becoming waterlogged and needing rescuing!